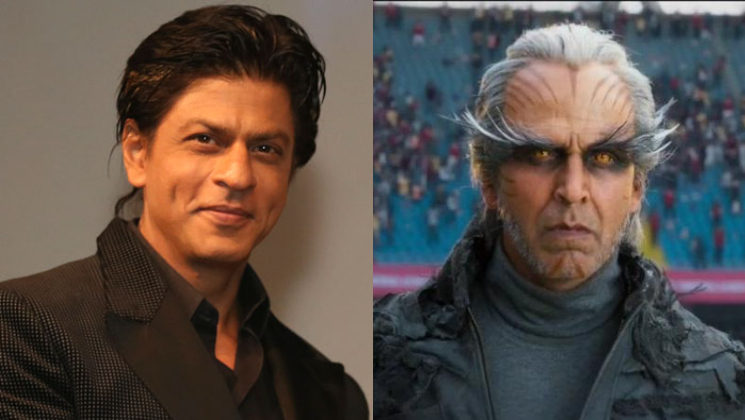 Last week we saw the trailer release of two highly anticipated films, Shah Rukh Khan’s ‘Zero’ and Akshay Kumar‘s ‘2.0’. After the trailer release, Twitterati went berserk and they simply couldn’t contain their excitement about both the films. However soon comparisons between the two films were also started by the fans of the respective actors. But despite all the competition and comparison, the lead actors of these films have no qualms in praising each other’s film. As the trailer of ‘Zero’ was released on Shah Rukh’s birthday, so wishing him on his special day Akshay Kumar even praised his film’s trailer. Well, we totally agree with Shah Rukh’s comment as Akshay’s look is really mind-blowing in ‘2.0’. And we are equally excited about both the film’s release. What about you folks?